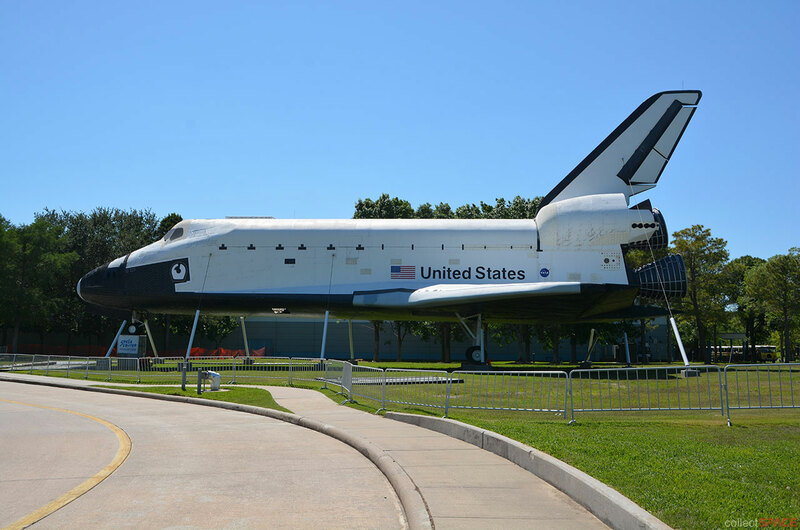 – Houston's mock space shuttle has a new name — and a date for its reveal. Space Center Houston, which serves as the visitor center for NASA's Johnson Space Center, has announced Oct. 5 as the day it will christen its full-size space shuttle orbiter replica. The public is invited to attend the naming, which is set to begin at 9:30 a.m. CDT (1430 GMT). 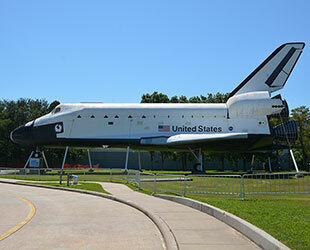 Previously known as the space shuttle Explorer, the high-fidelity replica was stripped of its moniker in 2012 before arriving in Houston from NASA's Kennedy Space Center Visitor Complex in Florida. 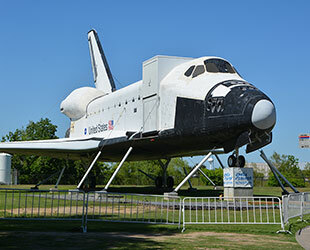 After exhibiting the mockup for more than a year, Space Center Houston held a statewide "Name the Shuttle" contest, inviting Texans to share their ideas for a name that would both "symbolize the spirit of Texas" and capture the Lone Star state's "characteristics of independence, optimism and can-do attitude." The contest, which began on Independence Day (July 4) and closed on Labor Day (Sept. 2), resulted in more than 10,000 entries being submitted. A panel of judges sorted through the names and chose the winner. 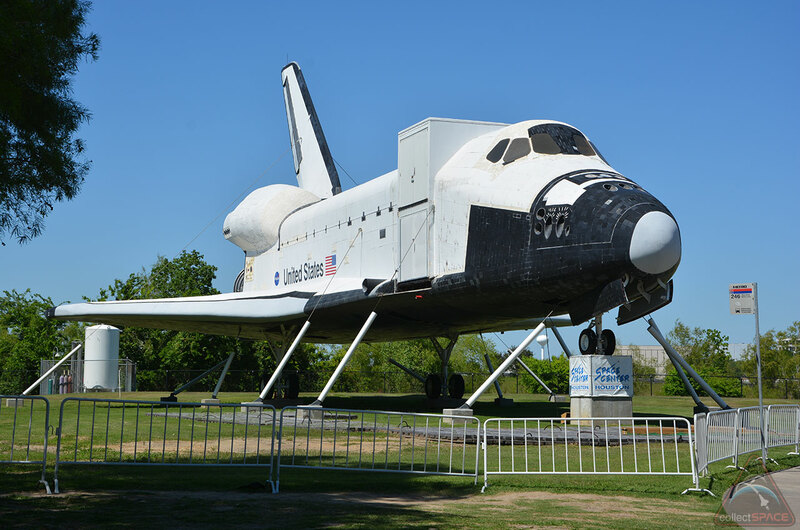 According to Space Center Houston, the contest's winner will be on hand Oct. 5 to help reveal his or her suggested name, which will be freshly painted on the mock shuttle's side. In addition to taking part in the event, the winner's travel expenses to the ceremony will be covered and he or she will get a behind-the-scenes experience at the NASA Johnson Space Center with up to three guests. The winner will also receive a year's supply of bread from Mrs. Baird's Bakery. The christening precedes the center's plans to mount the mockup on top of the real Shuttle Carrier Aircraft, NASA's jumbo jet that ferried the actual winged orbiters across the country. The modified Boeing 747 jet arrived in Houston in November 2012, and NASA transferred its title to Space Center Houston in May. Three months later, The Boeing Company pledged that it would underwrite the costs and have its team perform the work required to move the Shuttle Carrier Aircraft (SCA) to the site of the planned $12 million public attraction. In addition to being outfitted with a new name, the shuttle replica will also get an upgrade. When the mockup debuts on display in 2015, guests will be able to tour the shuttle's crew cabin, which will sport a new "glass" cockpit like the type the real vehicles had when they were retired in 2011. The Oct. 5 christening ceremony is free for the public to attend. According to Space Center Houston, the first 1500 visitors that day will receive a commemorative souvenir in celebration of the "momentous event."